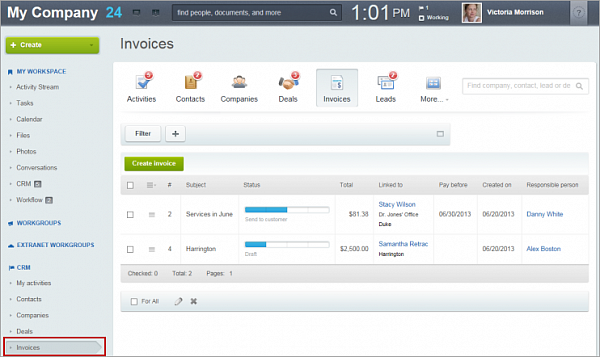 Bitrix24’s CRM has been enriched with invoice functionality. Let’s look at a basic scenario for working with this new tool. 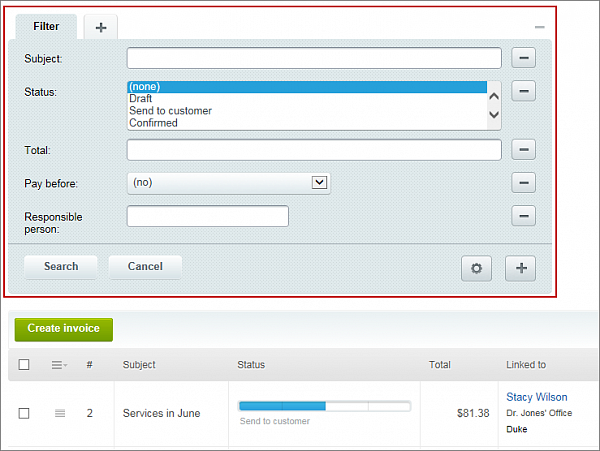 You can begin creating a new invoice by clicking on the corresponding location in the CRM’s top menu. When you create an invoice, you can choose the contact or company to which the invoice will be sent, select the associated deal, and enter the expected payment date, status, payment method, and more. 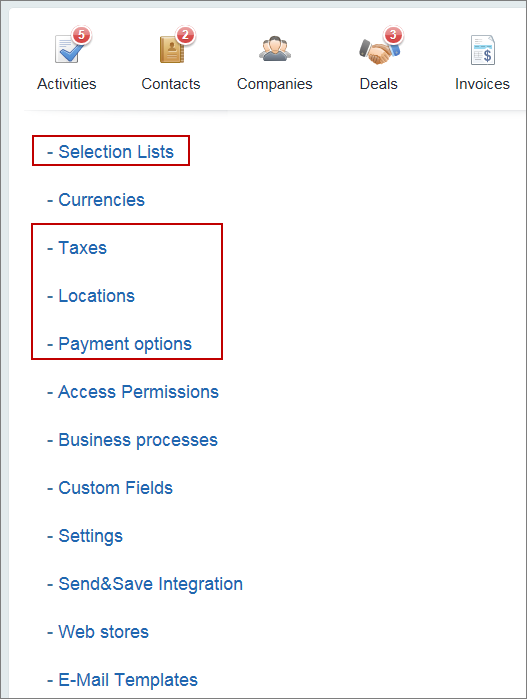 Note that some fields will be filled automatically when the Company or Contact is selected. For example, the field Banking details is filled in with data from the company selected, the payment method can be selected only after the Contact or Company to be invoiced is chosen. 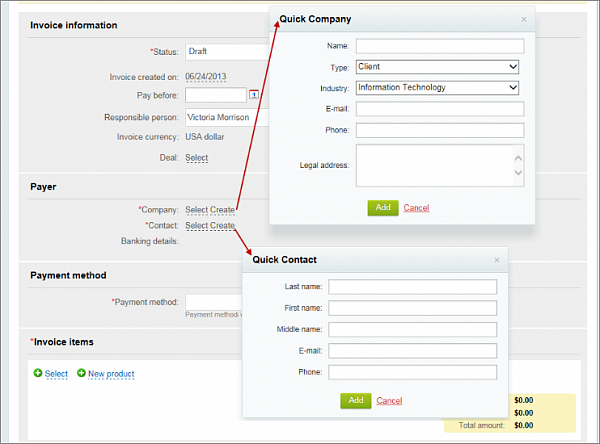 In the invoice creation form, you can choose not only existing contacts and companies, but also create new ones on the spot. For example, if an order is placed by telephone, the sales associate can open an invoice form and initiate all other actions, such as creating a new Contact or Company, directly from the invoice form. Products and services can then be added and the new invoice sent to the client. The detail page for these CRM objects now include an Invoice tab, wh ere all invoices associated with these contacts, companies, or deals are kept. Here you can create a new invoice which will automatically include the information from the CRM object on which it is based. After an invoice is created, a number of standard operations can be performed with it. 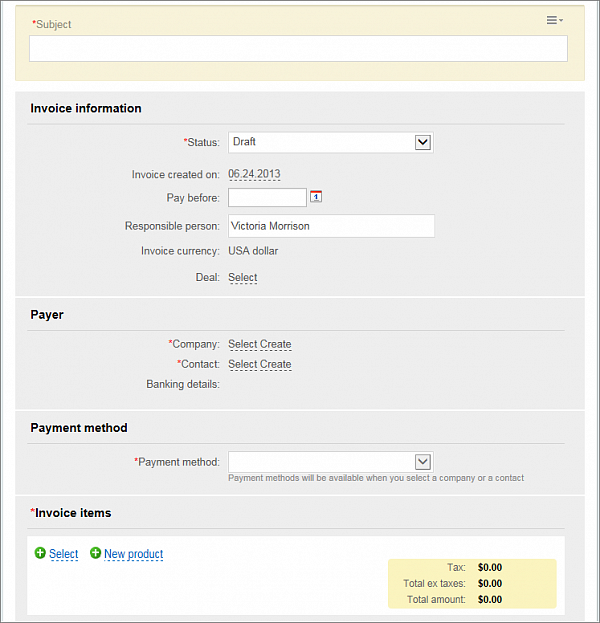 The Invoices page has all invoices which have been created in the portal. Each manager can see only those invoices to which permission is granted. Supervisors can see all invoices. A filter allows location of individual invoices or sets of invoices quickly simply by showing the desired parameters. 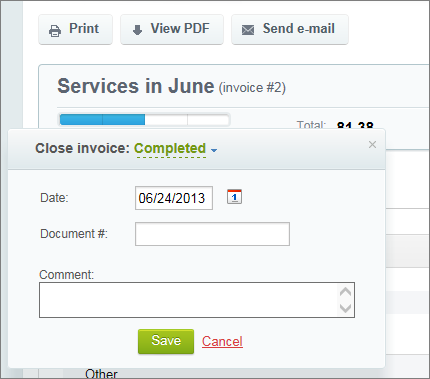 Sales associates can easily change the status of the invoices, edit fields, view, download, and print. 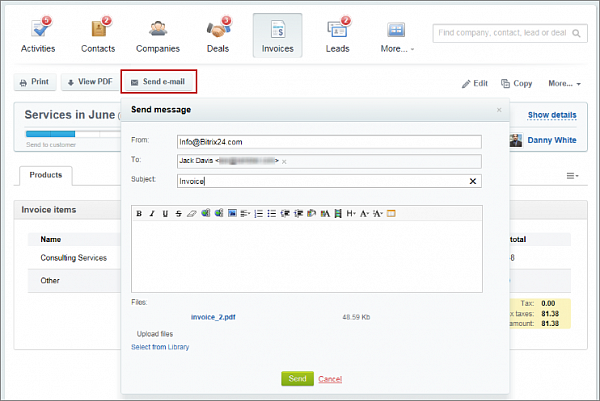 Likewise you can send invoices to clients via email simply by clicking on the Send e-mail button. An invoice can be closed when paid, or deactivated. Changing statuses is as simple as changing lead status or deal stages using the indicator. 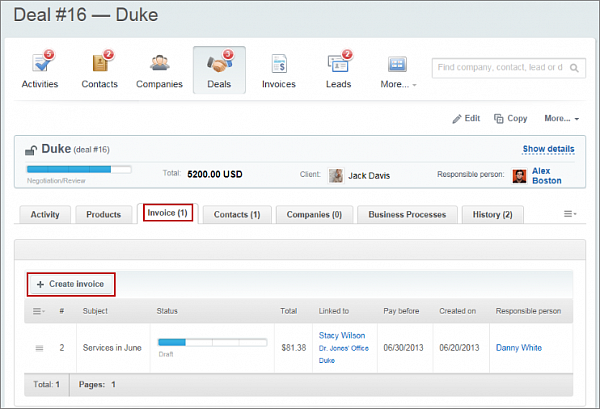 On the CRM –> Settings page, there are now settings that affect invoices. 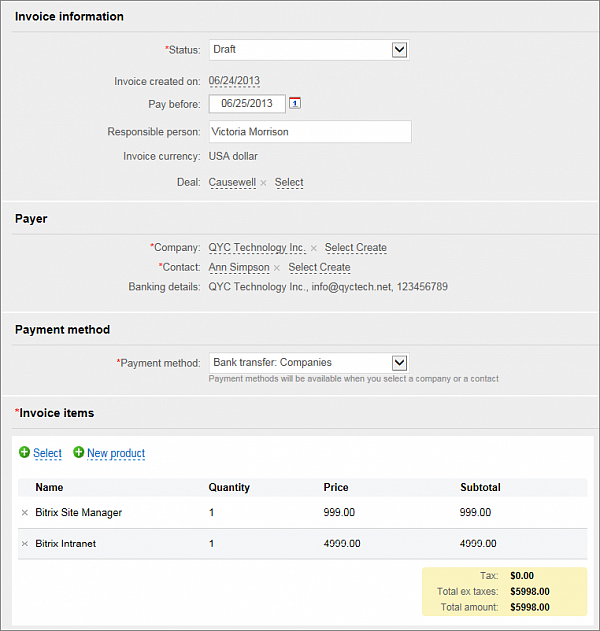 You can configure the position, tax rate, payment methods, etc. here. As always in the Bitrix24 CRM, all the default values can be changed, and new ones can be added. We’ll be happy to hear from you concerning this new tool. This is only the first version of invoices, and we already have additions and improvements planned which will make the feature more robust and convenient. Migrate From Asana To Bitrix24 Easily!